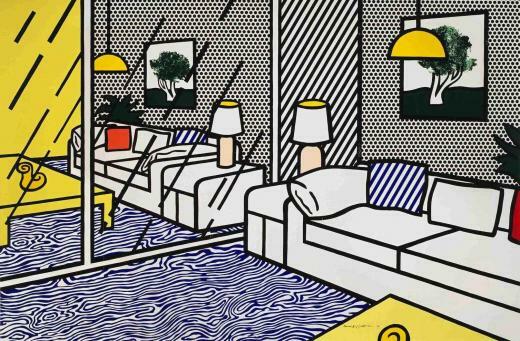 Throughout March Andipa Gallery are proud to present what promises to be both a comprehensive and scintillating display of Roy Lichtenstein works alongside selected examples from his contemporaries Andy Warhol and Tom Wesselmann. 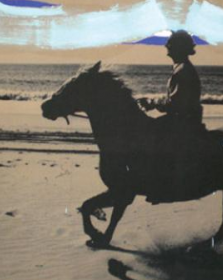 Together, these artists were instrumental and ground-breaking in their technique and approach to contemporary art in the 1960s, breaking from the tradition of abstract expressionism and instead turning to commercial and popular culture for their subjects. Andipa Gallery has devoted both floors of its exhibition space to showcasing and celebrating some of Pop Art’s most iconic and venerated pieces. For a limited time only, the enrapturing bursts of colour, thick outlines and poignant messages that so wonderfully and vividly characterise Lichtenstein’s imagery will be exhibited in the heart of Knightsbridge, at Andipa Gallery. 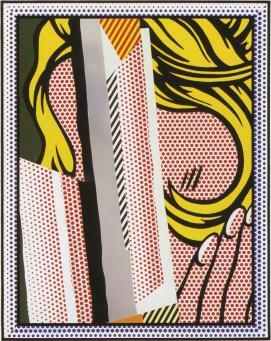 Lichtenstein’s work will hang alongside some of the vivid and significant works which shaped the Pop Art movement, such as Warhol’s Red Lenin, Diamond Dust Hearts (a unique painting with diamond dust) and the iconic Campbell’s Soup Cans. conferences and workshops to be concurrently held at the Tate Modern. 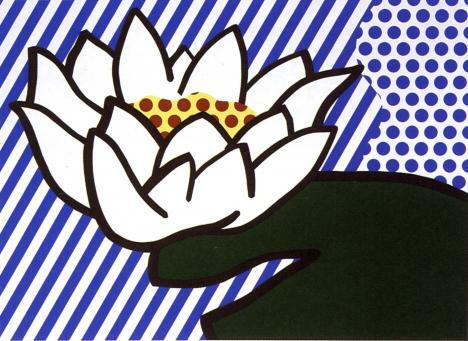 Following the success of Andipa Gallery’s Lichtenstein show in 2004, which was complemented by a unique catalogue featuring an essay written by Edward Lucie-Smith, we aim to put on yet another outstanding display. Lichtenstein stands as an iconic cultural figure, his style almost instantly recognisable, the exhibition will grant us the ability to pause and focus on the layers of unexplored depth that accompany his bold, often witty and ironic interpretations of modern life and popular culture; we can tread on seemingly familiar territory, all the while uncovering hidden gems and new insights.